The regular monthly meetings of the Utah Valley Technology and Genealogy Group are held on the second Saturday of each month, except December, from 9 AM to noon. The meetings are free and open to the public. They are held at the Red Brick LDS Chapel, 4050 North 650 East (Timpview Drive), Provo, Utah, usually in the Cultural Hall. If you would like to receive email notification of classes planned for the next meeting, go to our blog page for instructions on how to subscribe. The Group is experimenting with live streaming of the main presentations through Facebook. To watch it online live click on UVTAGG Facebook website link in the box above and view the meeting remotely. Learn more about how to locate digital copies of original records on FamilySearch, Ancestry.com, MyHeritage, FindMyPast, and other websites, including national archives sites. Learn tips and tricks for getting around problems, such as unindexed or partially indexed records, indexes not linked to images, or records that appear to not be digitized yet—but really are. Find out more about navigating web sites to more effectively find and search specific collections, and to understand better what it is you are searching. Joe Everett is the Family History, Local History, and Microforms Librarian at the Brigham Young University Harold B. Lee Library. 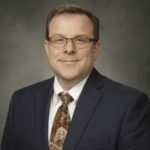 He has over twenty-five years combined experience in the genealogical field at BYU, the Family History Library in Salt Lake City, and Ancestry.com. Joe earned a B.A. in Russian Language and in Family History/Genealogy from Brigham Young University and a Master of Library Science from Emporia State University. He has served in various library and genealogical associations and has lectured and published articles on U.S. and European family history research, historical geography, and migration. The following classes are scheduled after the main presentation this month. The meetings are always open to the public and generally open with announcements that include what is happening in technology that effects family history work. A featured guest speaker will then make a one hour presentation on a topic of general interest relating to some aspect of technology and genealogy. Following the general session 8 to 10 classes are taught relating to technology and genealogy. These are at all levels from beginning to advanced and typically include classes about various features of FamilySearch, RootsMagic, Legacy, Ancestral Quest other genealogy programs and instruction for using the Internet for Family History work. The classes vary from month to month. There is a list of teachers and their specialties on the Teachers page. A few of the teachers have provided class outlines or summaries for some of their classes. Eileen Phelps, Editor of the UVTAGG’s monthly Newsletter, TAGGology, and Donald Engstrom, Membership Secretary will have copies of the current issue available for distribution to members at a table in the corner of the Cultural Hall. Following the meeting unclaimed copies of the newsletter are mailed to the contributing members. For telephone information about the meetings or about the Group, call Gerhard Ruf at 801-225-6106.